Recognizing your employees for their hard work makes them more productive, more loyal, and more motivated and engaged. But two-thirds of American workers say they don’t feel their efforts at work are recognized. If you own a small business, you may feel like you can’t afford to run an expensive employee recognition program – but employee recognition doesn’t have to cost a lot. An effective employee recognition strategy is one of the most cost-effective ways to make your team more productive and strengthen your company’s culture. When employees feel valued for their work, they’re more engaged and more likely to stay with the company. That means higher retention and lower turnover for you, which can go a long way towards improving your bottom line. It encourages top performers to keep performing well, and gives others a reason to improve. And, of course, the more productive your employees are, the more work they’re getting done, and the better your business is doing. 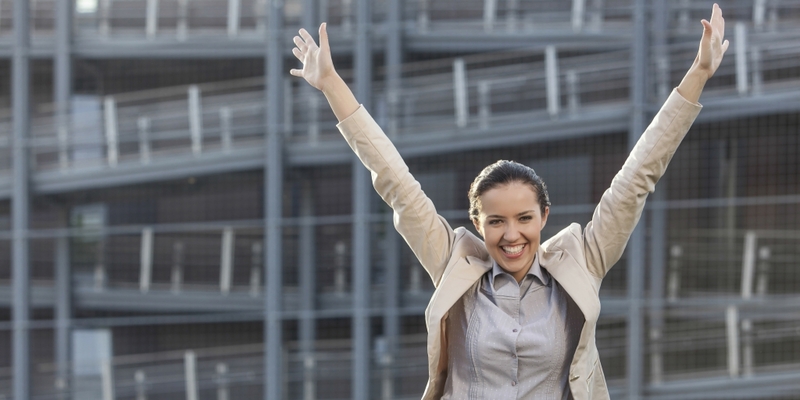 Recognition doesn’t just make the praised employee feel good about his or her performance. When done right, it shows other employees what success looks like in your eyes and the eyes of the company. It helps reinforce and nurture the company culture you want to establish or support. And it gives everyone an easy-to-follow roadmap to success with the company. When you think employee recognition program, you probably think weekly bonuses and annual recognition ceremonies at which acrylic awards are handed out to top performers. While those things are meaningful to employees and can be a part of an effective program, they’re not the solid foundation on which such a program is built. That foundation is, instead, words of praise and personal engagement. Don’t be stingy with the compliments, either. Make a point of complimenting your employees’ performance every day. When an employee achieves something particularly remarkable, or works particularly hard, give a handwritten thank you note along with your standard praise and reward. Employees treasure these notes, and, as time goes by, you’ll begin to notice them tented on desks, taped to computer monitors, and tacked to corkboards around the office. But don’t stop there. Get to know your employees as people and show an interest in their personal lives. Ask how Sam’s daughter’s soccer game went last weekend. Ask about Eliza’s elderly mother. Ask Beverly whether she enjoyed her lunch, and where she went. Your employees will appreciate that you see them as people, and not drones or cogs in a machine. Employee recognition works best when there’s an element of surprise in the rewards. The same reward given regularly, such as a weekly lunch on the boss, will begin to seem routine and expected – employees will think of it as an entitlement, rather than a prize. Preserve the element of surprise by having employees draw a reward at random from a basket, or spin a prize wheel. To foster a stronger company culture and make the recognition program more enjoyable for everyone, include an occasional fun activity, such as a Halloween costume or holiday cubicle decorating contest. This gets everyone involved in doing something fun, gets a few laughs, builds the team, and gives employees who aren’t top performers a chance to be recognized and appreciated for something else. When your employees feel appreciated at work, they’re going to work harder, and isn’t that what every boss wants? Show your employees that you notice the effort they put in, and that you appreciate them as people, and they’ll reward you with increased productivity, engagement, and loyalty to your company.